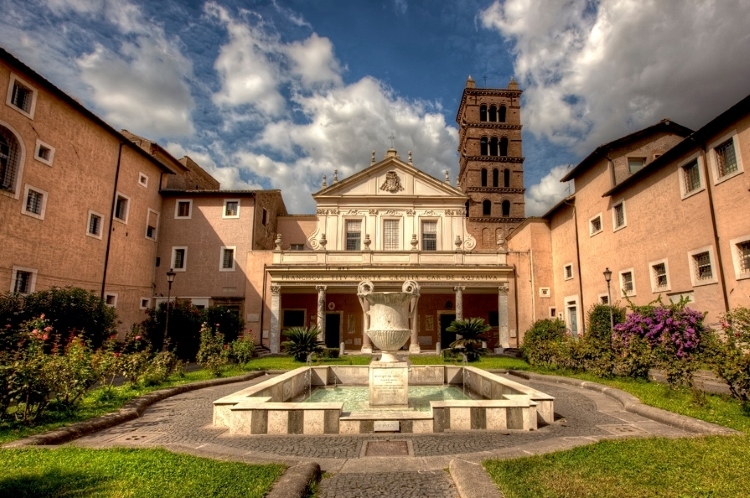 A true treasure chest of art and mystery lies in the outskirts of Trastevere. 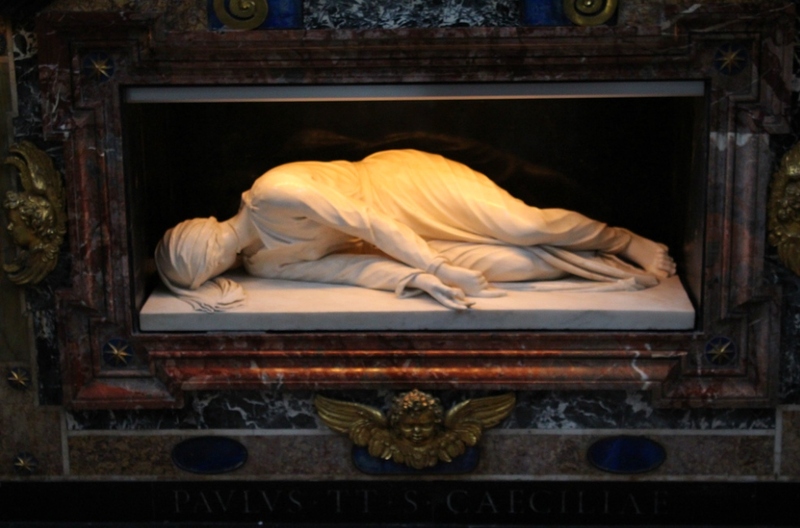 A statue of St. Cecilia as beatiful as a masterwork, the saint surrendering to her eternal sleep. 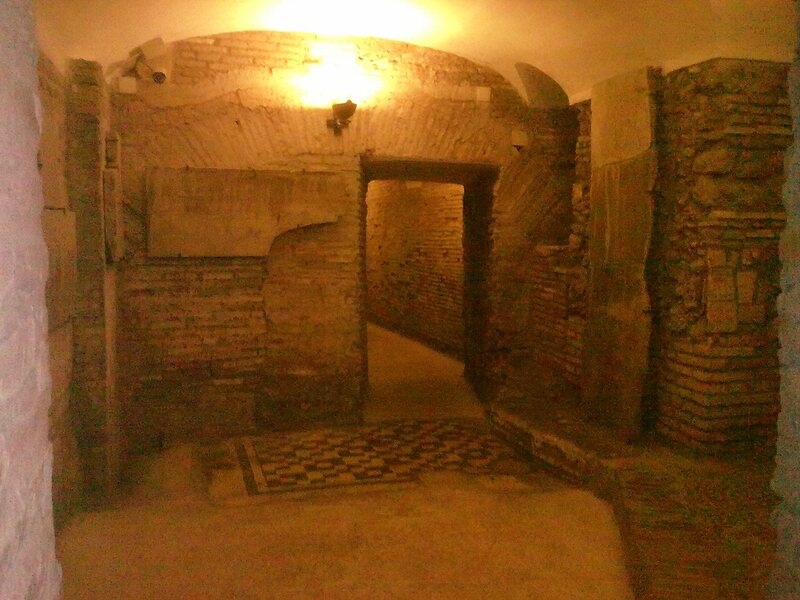 A maze of rooms dating to ancient Rome to be explored beneath the marble floor. Only few tourists enter the splendid garden of the church of St. Cecilia. 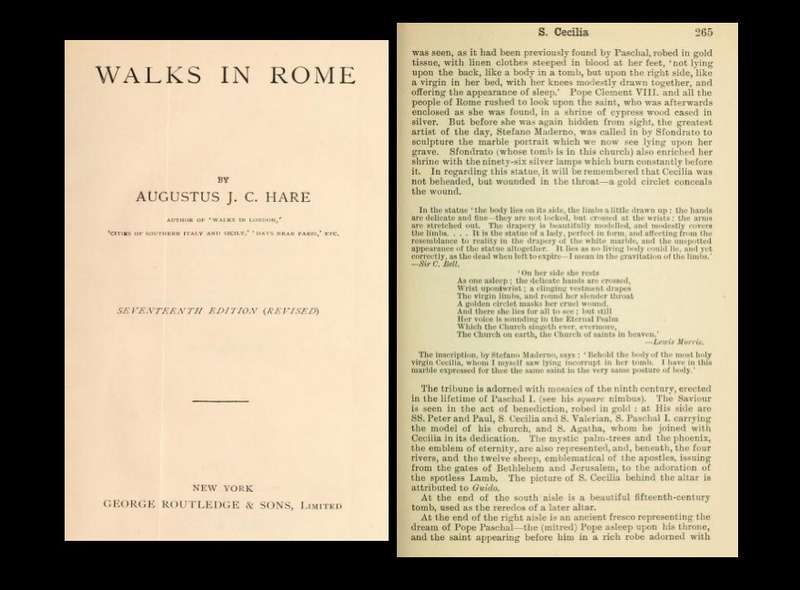 As you tread the paved lanes flanking the giant marble amphora at the center of the fountain, you understand that the spirit of the place is that of silence and antique recollections of a long-gone world. 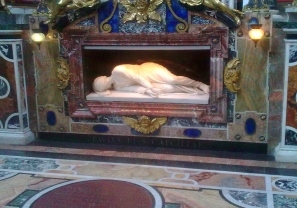 Inside the church, an amazing, unforgettable statue awaits the visitor: St. Cecilia, the virgin maid who in the third century was beheaded by the order of the pagan authorities, her body gently reclined as if in her sleep, her face turned against the floor and partly concealed by a veil, her neck showing the signs of the executioner's hacks. According to the tradition, this is the same attitude her body had shown to diggers when her burial was unearthed in 1599. 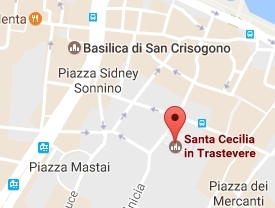 The place is marked by the soft presence of St. Cecilia. Descendig a flight of steps, you enter her ancient world: a labyrinth of Roman rooms, part of a domus and insula where Cecilia possibly lived in antiquity, unfolds beneath the church's floor. An utterly fascinating experience. The Church on earth, the Church of saints in heaven.